This show is more fun than a three-day weekend in Panama City. With a cheerleader. Jake McDorman has more charm than two or three guys put together, which is just what this show needs, because it's as playful as a puppy having its way with your favorite shoes. At first I thought it was getting a bit too jokey, but they've managed to tell good stories and keep it light, without being silly. Jennifer Carpenter as FBI Agent Rebecca Harris is convincing, and I'm sort of glad they didn't cast one of those insanely beautiful women who seem to comprise 51% of Hollywood's population these days. Shows like Flash and Supergirl pack the cast with pretty faces, and I end up having to watch every episode with one eye closed to keep from being blinded by dazzling smiles, sparkling eyes, and poochy lips just beggin' to be kissed. 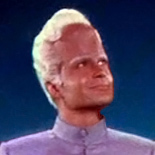 One thing the series does differently from the movie is the way it presents how intelligent the pills make a person. In the movie, Bradley Cooper was super-duper smart and learned things in seconds (he could learn foreign languages just from hearing them for a few minutes). However, in the series, Jake McDorman is bright enough to solve the crimes each week, but he doesn't dazzle us with his superhuman brilliance the way Cooper's character did. I think the producers of the series figured out that they had to dial back the genius a bit so they wouldn't have to spend so much time creating cool special effects that demonstrated the amazing things going on in Jake's NZT-enhanced brain. 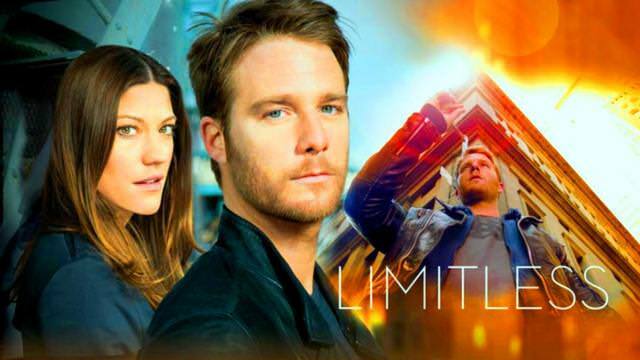 I was surprised when I learned today that the series is directed buy Neil Burger, who also directed the feature film, Limitless, in 2011. I feel a little better knowing that the man who did such a great job with that remarkable movie is in charge of retooling the concept for television. I just hope CBS doesn't figure out that I like this show — because if they do, they'll cancel it for sure! I love the show, but I haven't seen the film, although I did recently find the DVD for cheap. But what the show does remind me of was a novel/novella I read back in the 70s, I believe it was by Gordon Dickerson. In the future you can take a treatment that would either make you the smartest person on the Earth, or a idiot. The main character's Brother tries the treatment, and it doesn't go well. The main character tries the treatment, which is successful, but he is plagued by bad migraine headaches. What he finds out, is that the treatment makes your mind run super efficient, and you can remember everything. You can see the flaw in any plan, any device or machine, and how to improve it. This makes those who survive the treatment in great demand. BUT! What he also discovers is that it doesn't allow you to do is innovate. Although you can see the flaw in anything, and how to improve it, you can't create something new, just build on what is there. NZT in the show reminds me of this. Be advised that the movie has a few gruesome moments, and it doesn't have the playful charm of the show. There are none of those scenes in which the main character talks to an imaginary "self", or the humorous graphics and funny thought balloons popping up. As for whether or not NZT promotes innovation, at the beginning of the movie, Bradley Cooper is a writer who has taken an advance from his publisher, but he's suffering from extreme writer's block. After taking the NZT he finishes the book in three days, and his publisher is astounded by it. The rest of the movie is about how he comes up with amazing new ways to solve problems by connecting knowledge he pulls from things he only glimpsed years ago or overheard in passing. Once, when he needs to defend himself, he remembers fight scenes from a Kung Fu movie, and his attackers get their butts kicked! I had read that before the show came out, that the tone was completely different. They probably took the correct approach with the show, seeing that it is about a drug addicted looser. Yes, but he was building on what was already there. Building on what was already there. A couple of problems with this is that there can be a big difference between movie fighting, and real combat. A second problem is that if he wasn't in great physical shape, he could do serious physical damage to himself. I read a story once, where Aliens gave a man knowledge and skills, one of which was combat. He ended up having to use the combat skills, and because he wasn't in the proper physical condition, he ended up in the hospital with sever, self-inflected injuries despite thoroughly thrashing his opponents. I've seen this characterized as the core of true genius. In my lifetime of experience, I would judge that observation as valid. But there probably is a reason for the qualification, "creative genius" as contrasted with plain "genius". I've just watched the first two episodes, following the recommendation, and I'm hooked... time for episode three! Some of our hero's crime-fighting deductions are a bit reminiscent of the Elementary version of Sherlock Holmes, who manages to be extremely clever without any pills, but it's a pretty engrossing show! Trust me, it gets even better. Too bad that CBS has decided to kill the show like they did with "The Mentalist" by putting it in the death slot after "The Good Wife". The scientifically invalid premise and a few other rehashes killed it for me before it aired. The road to tomorrow runs through yesterday. Scientifically invalid premise? Disagree, sir. 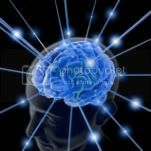 There are drugs that enhance cognitive abilities today, though not to the degree that NZT does. That's the "fiction" in this science fiction. Nootropics — the name given to a broad class of so-called "cognitive-enhancing" drugs — are all the rage in Silicon Valley these days. Programmers like nootropics because they're said to increase productivity and sharpen focus without the intensity or side effects of a prescription drug like Adderall or modafinil. The data on effectiveness, reliability, and safety is limited and inconclusive. In other words, "The boat still has holes in it." So, what are you saying, Pye-rate? That we can't make a science fiction series about a new cognitive-enhancing drug until we actually have a real one? You and I both know that science fiction doesn't work that way. And that's why I don't understand your objection. What could the fact that "the data on effectiveness, reliability, and safety is limited and inconclusive" possibly have to do with a science fiction series about a new drug that is amazingly effective, reliable, and safe? And I should point out that if you'd watched the show you'd know that NZT causes death if a certain immunity shot isn't administered periodically. So, the show does take into account the real-world concern that a drug that powerful can be harmful as well as beneficial. For that reason, your initial statement puzzled me. Does this mean you dismissed it before you even watched it, or that you dismissed it because the movie's premise seemed impossible? Either way, I'm surprised that a loyal science fiction fan and a man who has shared hundreds of startling new scientific innovations with the members of this board (something we deeply appreciate) would decide that a show was based on a "scientifically invalid premise". After all, the basic premise (that drugs can effect the way the brain works) is certainly not invalid, and the only thing this show does that hasn't already been scientifically validated is propose that a new drug can extensively enhance human cognition. Since when do we put limits on new discoveries and arbitrarily decide how far they can go? Respectfully, sir, I think you should give the show a chance. I believe that you would enjoy it as much as anyone possibly could, because it's obvious that expanding knowledge and intellectual capabilities is a prime concern for you. All the currently aired episodes can easily be downloaded right here. I've already got 'em all!